Oceanographic data collected by seals as part of the ‘Marine Mammals Exploring the Oceans – Pole to Pole’ (MEOP) project are now quickly made available to climate modellers. State of the art instrumentation (CTD tags) developed by the Sea Mammal Research Unit (SMRU) are attached to over 150 individual seals worldwide. These instruments record the temperature and salinity profile of the water column as the seals dive. 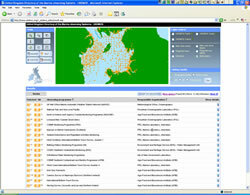 On surfacing, the data are transmitted via satellites to SMRU. Through our liaison partnership, the British Oceanographic Data Centre (BODC) have been working with SMRU to make these data available via the Global Telecommunications System (GTS). We are responsible for downloading, encoding and delivering data to the GTS on a daily basis. This allows the near real-time data collected by the seals to be incorporated into various meteorological and oceanographic models. MEOP, an international project, started in July 2007 as part of the fourth International Polar Year (IPY). It involves tagging deep-diving seal species to provide data on their location and behaviour, and information relating to the waters they inhabit. 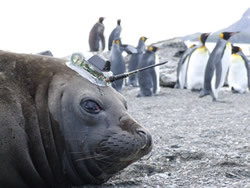 It builds on the previous projects, Southern Elephant Seals as Oceanographic Samplers (SEaOS) and the South Atlantic Variability Experiment (SAVEX) which sought to gain a better understanding of how elephant seals interact with their physical environment. The British Oceanographic Data Centre (BODC) has been chosen to host the GEOTRACES International Data Assembly Centre, which is funded by the US National Science Foundation and the UK Natural Environment Research Council. 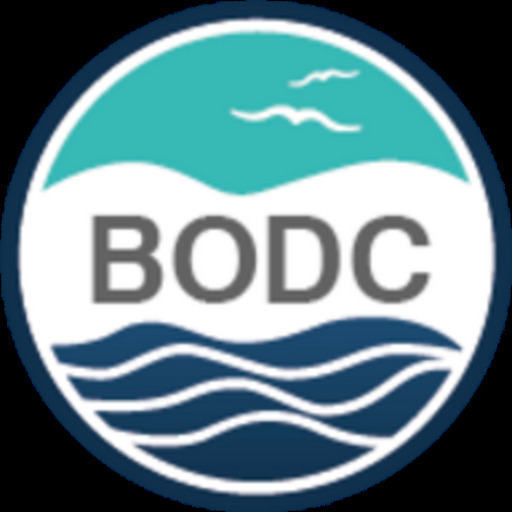 As part of this commitment, BODC will receive data from national oceanographic data offices and compile datasets for all GEOTRACES key parameters. Edward Mawji has been appointed the BODC's coordinator. He will be working closely with the GEOTRACES scientists to establish common metadata and format protocols and will also be responsible for the quality control and secure archiving of the data that will be collected during cruises. GEOTRACES is an international programme focused on understanding biogeochemical cycling of important trace elements and isotopes in the oceans. It is anticipated that the programme will run for approximately ten years and involve in excess of twenty research cruises, run by a variety of nations. 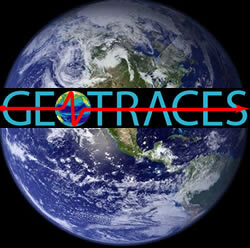 For more information go to the GEOTRACES web site or the BODC GEOTRACES announcement.